At present hunting kills more houbara than the wild population can produce, so numbers are declining. Captive breeding can help support hunted populations, but it is not the complete solution to the problem. In order for falconry to continue long into the future, hunters will need to appreciate the necessity of continuing their sport in a way that allows wild populations of houbara to be sustained. While some may be unhappy with conservationists and hunters joining forces to ensure the conservation of the species, it is important to appreciate that recognising the cultural, political and financial importance of falconry and hunting, is the only option that gives us the opportunity to ensure that the houbara will survive—and thrive—long into the future. What Do We Mean By Sustainable Hunting? ‘Sustainability’ is a word that is easy to use, but means little unless it is clearly defined. Real sustainability requires explicit criteria by which it can be measured and assured. Here we outline these criteria for sustainable hunting of houbara. Hunting requires a system of controlled territories, with hunting licences and quotas. It is vital, also, that these quotas are based on robust, transparent population modelling with underlying data open to scrutiny by the hunting, scientific and conservation communities. Hunting should never harm and preferably always benefit the livelihoods and wellbeing of the local communities and other stakeholders on whose lands it takes place. While providing potential benefits, captive breeding risks producing undesirable physiological, immunological, temperamental and behavioural changes that can reduce the integrity and quality of the wild population. It is essential, therefore, to maintain the highest genetic integrity in captive stocks but also to limit the releases of captive-bred birds in order to minimise the risks of weakening wild populations. e) Ongoing research, to understand any potential contributions or negative consequences for the wild populations. As a precautionary measure, to provide refuges for natural wild populations, a network of effectively protected areas is highly desirable, in which neither hunting nor reinforcement by release of captive-bred birds takes place. Protected areas could guarantee key breeding, stopover and wintering areas along the migratory flyway. This would be hard to achieve and requires international cooperation among multiple partners. 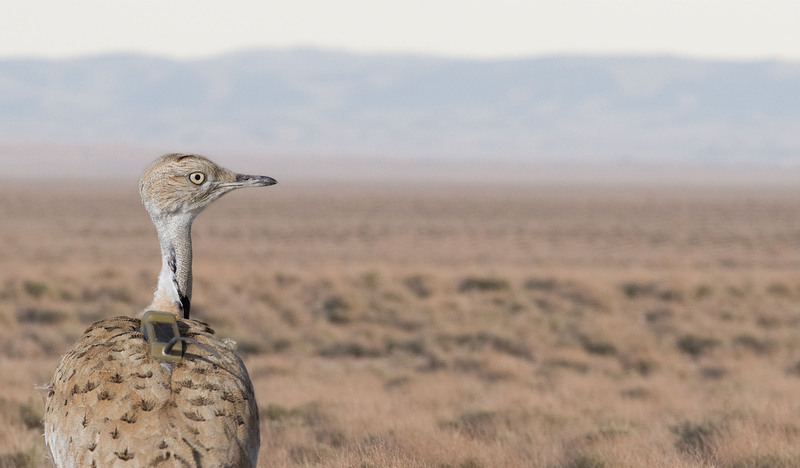 But these measures would make it much easier to guarantee the long-term future of houbara.